180x60x2cm Hand-painted in our studio. Canvas painting "Fire And Ice"
180x70x2cm Painted on genuine linen. 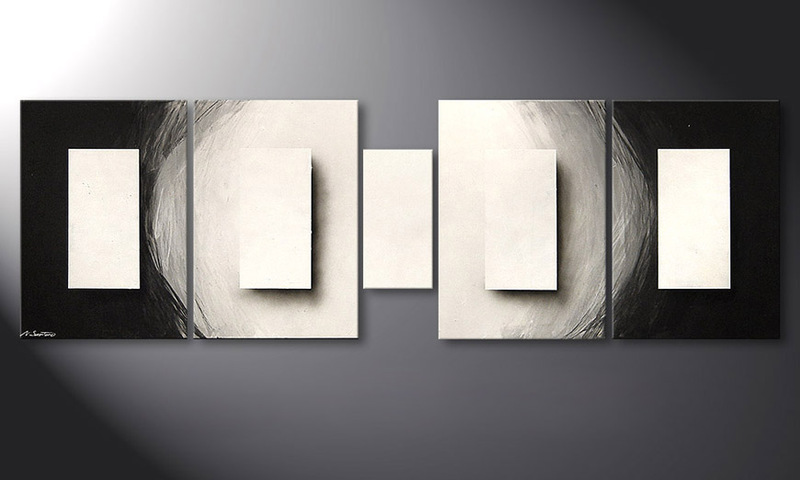 This wall picture Painting "Illuminated Cubes" 220x70cm is a hand painted, not an art print. It consists of 5 panels with a width of 220 cm (without spaces). This picture features mainly black and white. Absolut zu empfehlen! Überzeugende Qualität - gute Preise - schnelle Lieferung.